If anyone has been to Mexico in the last few years, you may ask if you need to book an IV nutrition treatment. Staying up all night, chatting with new friends, having a new few drinks while on vacation can put strain on your system. 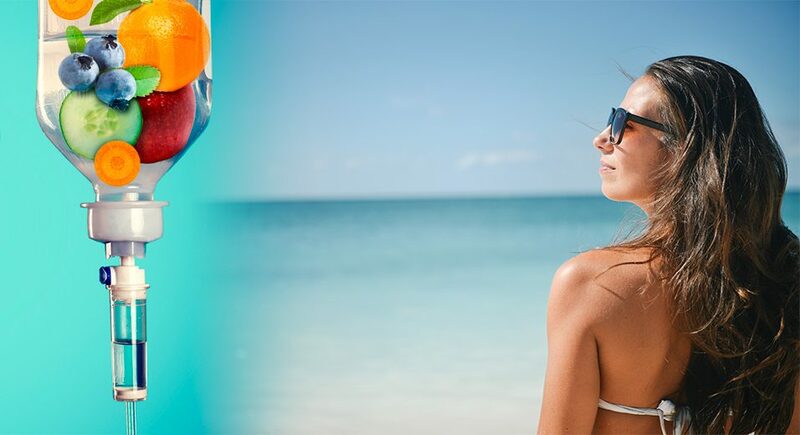 If you are looking for relief from a chronic condition or if you just stayed up too late enjoying the night life with your friends while on vacation, IV vitamin therapy can be a great option for you. Everyone, no matter your health status, can benefit from IV Nutrition. Your body’s cells depend upon nutrients to fuel their energy producing biochemistry. Due to a variety of factors, including poor dietary choices or a nutrient-depleted food supply, it is likely that important nutrients are not reaching your cells properly. IV Nutrition is the fastest way available to replenish chronically depleted nutrient reserves. Vitamin and Mineral infusions are being used for a wide variety of health concerns. Conditions that have responded positively to the IV Nutrition treatment include asthma, migraines, chronic fatigue syndrome, muscle spasms, pain, allergies, and sinus and respiratory tract infections. A number of other disease states, including angina and hyperthyroidism, have also shown promising results to IV vitamin infusions. Many people are also using IV vitamin therapy for quick rehydration after an intense sporting event, such as running a marathon, to cure a hangover, or for improved skin clarity. IV vitamin therapy works because the vitamins and nutrients are administered directly into the bloodstream and bypasses the digestive system. That’s how the absorption rate is nearly 100 percent. A booster shot is given by an intramuscular injection so there is also no gastrointestinal absorption there either. It works because if you look at vitamins and minerals, along with hormones and other chemicals in the body, these are the body’s building blocks; they’re our body’s natural pharmacy, and they’re used in numerous physiological pathways. Everyone, no matter your health status, can benefit from IV Nutrition. Your body’s cells depend upon nutrients to fuel their energy producing biochemistry.